From a very young age Benjamin’s been into wine. He believes in the absolute minimum intervention with the grapes growing and wine making, so that the wine can express itself and it’s terroir. I was surprised to taste two wines from the same region growing the same grape taste totally different to each other, and they were grown only about 50m away from each other! Now that’s excellent winemaking. Now to the wines in the masterclass! 2008 Benjamin Leroux Borgogne Blanc – Bright and pronounced citrus and gooseberry nose, with bold mouthfeel and creamy intensity. Great length. RRP $50. 2008 Benjamin Leroux St Aubin Les Murgers Des Dents De Chien 1er Cru – (1er Cru is Premier Cru, meaning a good wine) Yeasty Bready nose, but fresh, like an ocean breeze (personal description), with mineral characteristics. On tasting, also mineral with a linear, clean structure and finish. Wine grown in Limestone soils, which add that minerality. RRP $95. 2008 Benjamin Leroux Meursalt Les Vireuils – Citrus, with slight sweetness on the nose. Creamy rich flavour but with acidity which adds fresh flavours. Wine grown in Limestone soils, which add elegance to this wine. RRP $120. 2008 Benjamin Leroux Meursalt Narvaux – Reserved nose that wasn’t overly pronounced, with grassy characteristics. Creamy on palate, which was more rounder than the Les Vireuils wine above. RRP $120. 2008 Benjamin Leroux Pugliny Montrachet – Lots of acidity and freshness. Rich soil gives a ‘fat’ wine (fuller mouthfeel). Powerful and clean edged finish. RRP $120. 2008 Benjamin Leroux Chassagne Montrachet 1er Cru Les Baudines – Sweeter on the nose than above Puglinby Montrachet wine, with toast and goosberry and a touch of honey. Stone fruits and sweet characters on the palate with a long and elegant finish. RRP $165. The wines above and below (Baudines and Embrazes respectively) are only 50m apart, but have turned out almost completely different wines that both represent their terroir. 2008 Benjamin Leroux Chassagne Montrachet 1er Cru Les Embrazes – Nice perfumed bouquet on the nose with some fresh fruits, but then more savoury, stony and mineral characteristics, and elegant structure on the palate. RRP $165. 2008 Benjamin Leroux Bourgogne Rouge – Bright cherries on nose with underlying earthiness. Structure, acid and berry flavours give freshness to it. RRP $45. 2008 Benjamin Leroux Savigny – This wine is the classic benchmark of wine from Savigny, of what a Savigny should taste like. Soft body with generous fruit, complexity and good length. RRP $78. 2008 Benjamin Leroux Savigny 1er Cru Hauts Jarron – Really enjoyed this one – Wet leather and earthiness on the nose, juicy berries (the sort of flavour that makes your mouth water) and oak, with a smooth and long length. RRP $95. 2008 Benjamin Leroux Volnay – Slightly candied cherry on the nose with earthiness. Ripe plummy, blackberry flavours with good levels of tannin. 20% limestone in the soils adds a more mineral style. Long length. RRP $95. 2008 Benjamin Leroux Volnay 1er Cru Clos Cave des Ducs – Biodynamic site. Wood and slightly dusted aromas, with fruity and floral touches, and even some vegetal characteristics – also on palate. Long, solid, savoury length. RRP $149. 2008 Benjamin Leroux Gevrey Chambertin – Very earthy, but with fresh fruity berries on the nose, softer well rounded palate with plummy and blackberry/black cherry concentrated flavour. RRP $114. 2008 Benjamin Leroux Mazoyeres Charmes Chambertin Grand Cru – Organic site. Highly perfumed, lifted nose with wood and bright berries. Bursting with black fruits on palate with savoury and oaky tones underlying. RRP $289. 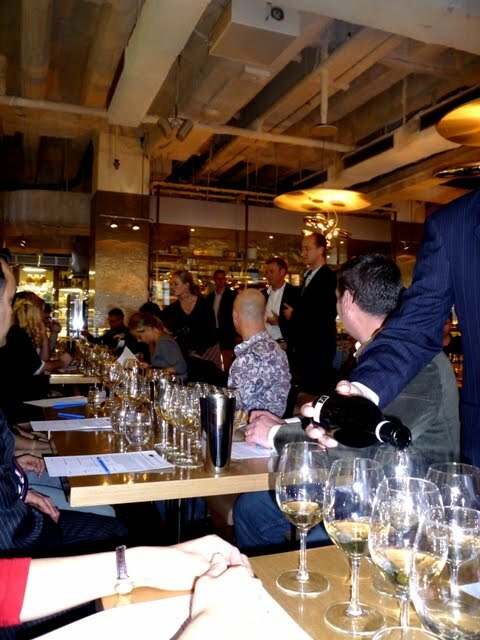 2008 Benjamin Leroux Clos Saint Denis Grand Cru – An absolute favourite! Earthy, Musky, Savoury and Plummy, with Floral tones on the nose. Flavours of plums, black cherries, and not so tannic. Savoury and very pleasant finish. RRP $319. 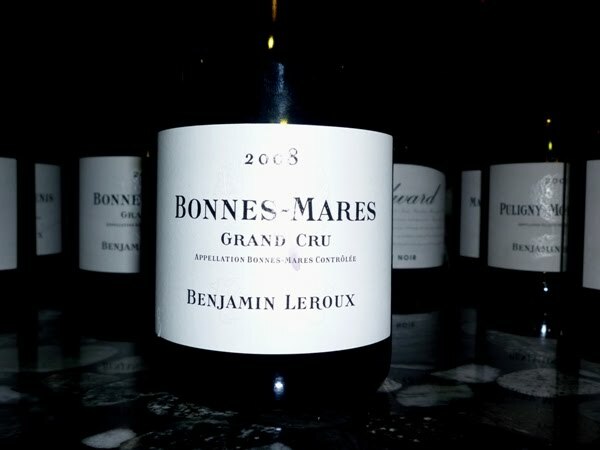 2008 Benjamin Leroux Bonnes Mares Grand Cru – Organic site. Perfumed, with complex sweet and savoury characters on the nose, including cured meat and bread. On tasting, vibrant red berries and plums, with tannins and a mineral earthiness which brings elegance to the wine. RRP $339. The Wine List is unreal, sounds like you had a big one hey. Thank you Madame 🙂 you too!! !